with 1 gallon of water in my hand. I needed to figure another way to bring water to work. I do not drink enough throughout the day. My daily goal during prep was at least 1 gallon of water a day. I came across the Daily 8 Water Bottle by Bluewave Lifestyle and I also was able to get the Bodybuilding.com water bottle as a bonus with one of my orders. 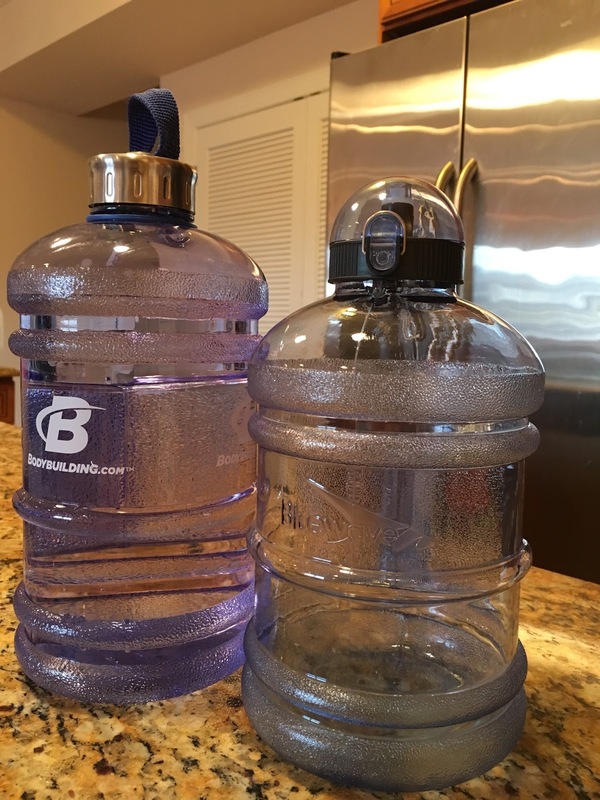 As you can see from the picture above, the Daily 8 bottle contains less water than the Bodybuilding.com bottle. The water line in the Bodybuilding.com water bottle is how much water fits in the Daily 8. 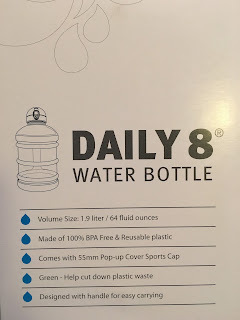 The Daily 8 bottle holds exactly 1/2 a gallon. There is also a major difference in the lid styles. 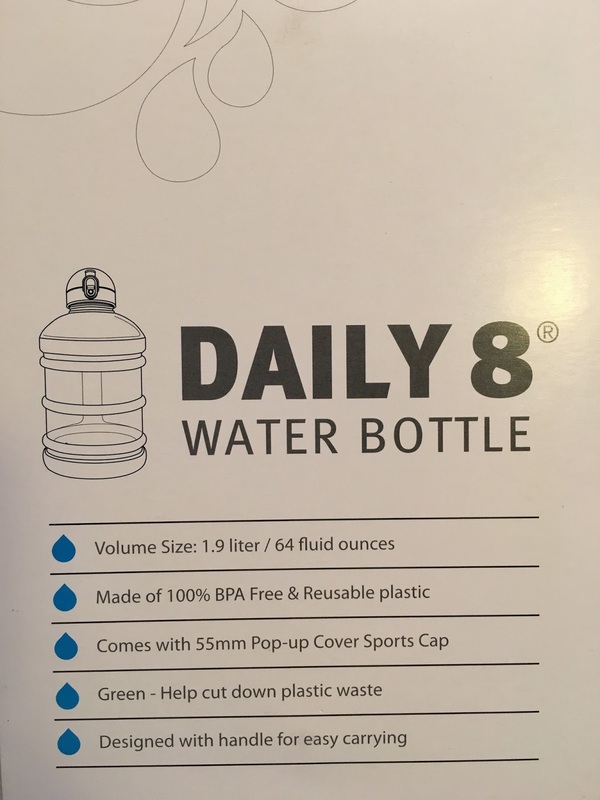 The Daily 8 bottle is more of a spout and feels almost like drinking out of a straw. If you remember my water trick post, drinking out of a straw is my little secret to get 1 gallon of water down easy, so I prefer this style. Also, the handle on the Daily 8 bottle is super comfortable and easy to hold during my daily commute. When comparing the two, the Daily 8 wins hands down. It is easy to clean and it doesn't have a plastic smell or taste to it, and it doesn't leak at all. As long as you don't lose the small rubber parts you're good. I suggest always washing the cap with your hands and some soap. I made the mistake of using a sponge, lost one of the rubber pieces and had to buy an entirely new cap. Another hard lesson occurred in the middle of times square when I was trying to do too many things on my walk to work and my bottle fell. Immediately the bottom cracked and water ended up everywhere. The bottle isn't full proof and can clearly break especially when it hits a hard surface. My boyfriend and I are each on our second bottle and absolutely love this product. FYI I am not in any way sponsored by Bluewave Lifestyle. 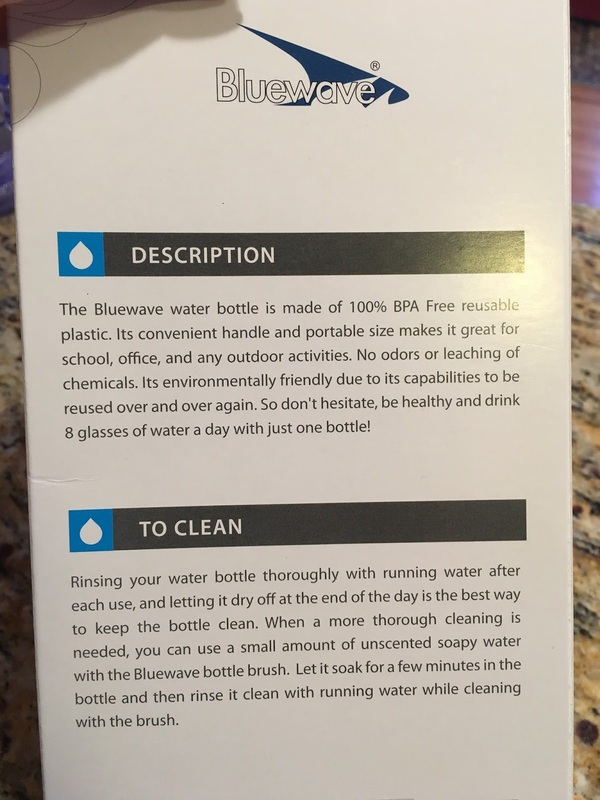 This product is one I truly enjoy and want to share with others who may be looking for a great water bottle. You can order from Amazon or Bluewave Lifestyle.